Axl Rose broke Tom’s Forty Under 40 trophy. You’ll have to ask him for the story. Tom is founding partner and design director for Generator Studio. His passion for architecture began early on in Minneapolis, when Grandma Betty took him on field trips downtown to see the buildings built by his great-great grandfather, H.N. Leighton. A fascination with buildings grew into a passion, which today goes far beyond architecture to a quest for understanding the cultural influences and trends that inform design in general. His influence is broad completing work as varied as a small urban condominium in downtown Kansas City to leading the master planning efforts for revitalizing downtown Dodge City, Kansas, to leading the design of an Olympic stadium in China. He has perfected the ability to set aside design agendas in order create authentic and responsive architecture for his clients. A recipient of numerous design awards and honors, Tom’s impact to the Kansas City-area business community was recognized in 2007 with a 40 Under Forty award from Ingram’s Magazine. Tom impact on the sports industry spans nearly a quarter century, most recently being awarded the renovation to Scottrade Center with the St. Louis Blues, and a top to bottom renovation of Amalie Arena for the Tampa Bay Lightning. 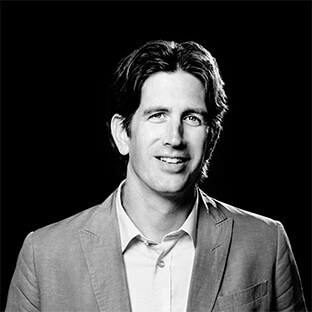 Previously, Tom was founding partner and design director for Crawford Architects, leading the design work of the Kansas City and Sydney offices, with key projects the University of Northern Iowa’s McLeod Center, the Seattle Seahawks’ VMAC training facility, and Vector Arena in Auckland, New Zealand – their first modern arena. Early in his career, Tom joined Ellerbe Becket (AECOM) and quickly rose to be one of the brightest designers on the most sought-after projects in sports, namely, the hallowed ground of Conseco Fieldhouse and Lambeau Field — leading the design work for both. Conseco is routinely named as one of the best NBA arenas and Lambeau was named ‘the No.1 stadium experience in all of professional sports’ by ESPN The Magazine. His achievements in the sports world have been nationally recognized, and in 2006 Tom was awarded “Forty Under 40” by the Sports Business Journal. Tom strongly believes in giving back to his community. Among other endeavors, he is a board member for the Child Protection Center, board member for the Center for Architecture & Design, and member of the Downtown Council of Kansas City.